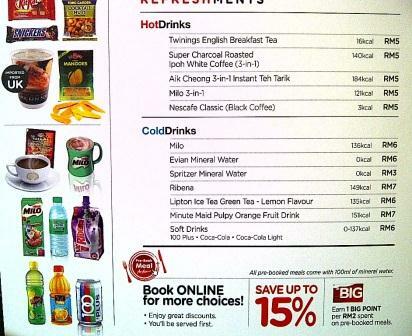 Update: Many of the items listed below is no longer available in the menu. Also the prices would have changed as this article was written in 2012. 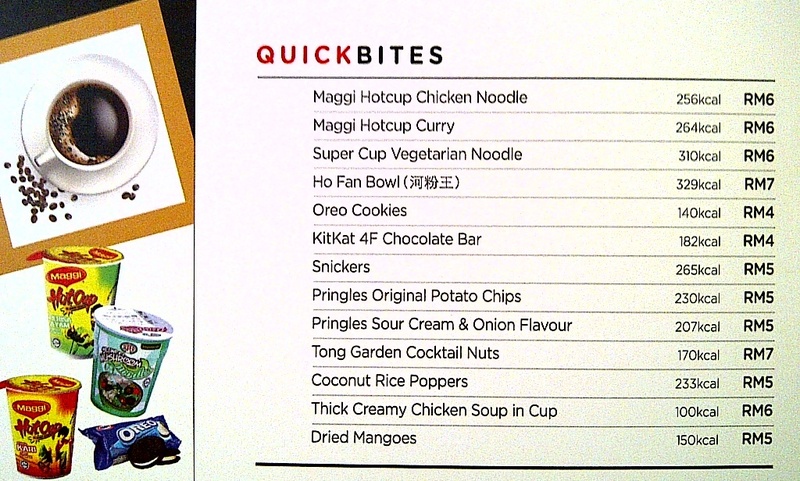 Their in flight menu is limited (good to prevent food wastage) – however you can pre-order the food when doing the booking (sometimes if the same food is available in flight, the pre-order food is cheaper). It is still good to get an idea of the usual calorie content in the common food that we eat. 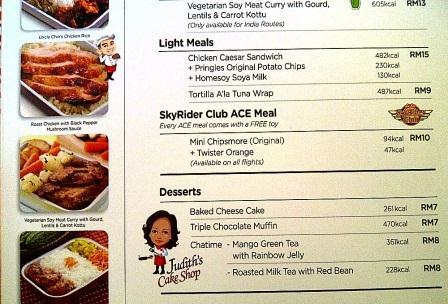 When I travelled with Air Asia recently, I was quite impressed that they’ve included the calories content of the food offered in their in-flight menu. It’s quite a useful resource so I’ve decided to publish it here. Now at least some of us would get a rough idea where those calories came from. 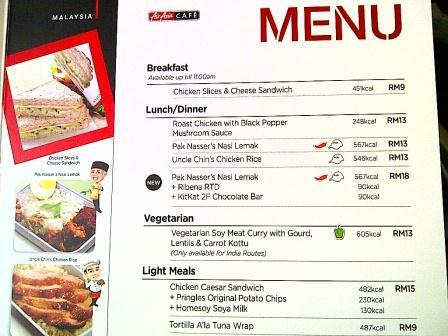 The menu is based on the December menu – and Air Asia is getting innovative that they changed their menu every month. But the calorie content of the food gives quite a useful indication.